I’ve recently rediscovered tomatoes. No scrap that, I’ve discovered tomatoes. Tomatoes were my hated food as a child, my nemesis on the dinner plate. Fortunately by the time adulthood arrived, my nemesis and I had come to a mutual agreement where we were able tolerate each other. We even began to like each other. In the last month or so, a thing of beauty has happened. I think we are now inseparable. Bonded for life. I have discovered the deliciousness that is the tomato. The variety of tomatoes available at my local grocer has just boomed. 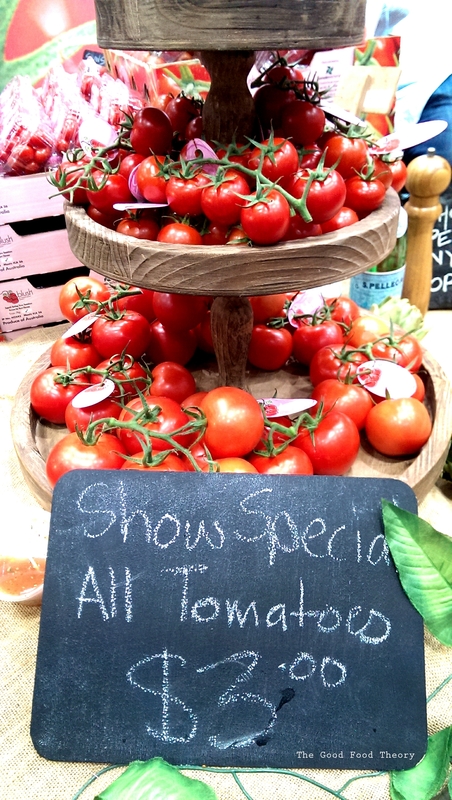 No longer are tomatoes limited to cherry, grape, roma, truss and the ‘normal’ variety (probably just called a tomato!). There are yellow ones, Kumato (the greenish ones), medleys, oxheart and brands such as Johnny Love Bites. My favourite are oxheart tomatoes. The odd shapes and random sizes are appealing to the eye and each is equally plump and ripe as the next. Ignoring the actual definition of a fruit, I now understand from a taste perspective why a tomato is a fruit. I am also fondly reminded of words of those wiser than myself saying, ‘when I was young, tomatoes had flavour, none of this bland, watery stuff’. I feel as though I’ve stepped back into the past, tasting a tomato for the very first time. What favourite foods have you rediscovered (or discovered) recently? Oxhearts are some of my favorites, too. We grew them in the garden last summer, and they were fabulous. You are making me very antsy for summer here in the US! Everything in the stores here right now is pasty and tasteless. Homegrown oxhearts…maybe one day 🙂 Hope summer comes around quickly for you you!